Today I have some more lovelies for you for March Muffin Madness—gluten-free Raspberry Muffin Cakes from Maggie of She Let Them Eat Cake! You can probably guess why Maggie calls her recipe “muffin cakes” versus simply muffins. She has a very good reason, but I’ll let her explain later in this post. She’ll also tell you about the health benefits of these pretty and scrumptious Raspberry Muffin Cakes! Her recipe is gluten free, dairy free, refined sugar free, and vegetarian. Enjoy learning more about Maggie and her Raspberry Muffin Cakes (see the whole line-up of bloggers, blogs, and muffin recipes here). Maggie Savage is passionate about the connection between food and health. She can’t help but take that passion and share it with the world as she is committed to showing everyone how easy it is to live your fullest life feeling good and looking fabulous. Maggie’s passion was born out of her husband’s diagnosis with Celiac Disease in 2004. Six years later, Maggie’s son was diagnosed with food intolerances to gluten, dairy, and eggs. With the help of mentors and education, Maggie took matters into her own hands and committed to healing her family and keeping them healthy. Maggie loves real food, organic farmers, and healthy gluten-free living. You can find her at www.SheLetThemEatCake.com where she blogs about gluten-free living, nutrition, and her family. If I were asked to describe Maggie in one word, that word would be “joy”! Maggie and I have been online friends for years and “in real life” friends since we met several years ago at a gluten-free event. She’s the kind of person you just want to be around as much as possible because she’s such a sweetheart and all her good energy is totally infectious! So the fact that she is one of our gluten-free, healthy living advocates is so sweet, just like Maggie herself. Honestly, we can’t have enough spokespeople like Maggie in our gluten-free community! Maggie has a gift for creating gluten-free, dairy-free, egg-free, and often vegan, recipes or even converting existing recipes to meet those requirements without any flavor or texture compromises. When we first met in person, she had created an egg-free version of my Chewy Granola Bars and had brought some with her so that I could sample them. I happily did and they tasted exactly the same! While that version is not on her blog, you’ll definitely want to check out her Nut-Free Granola Bars. 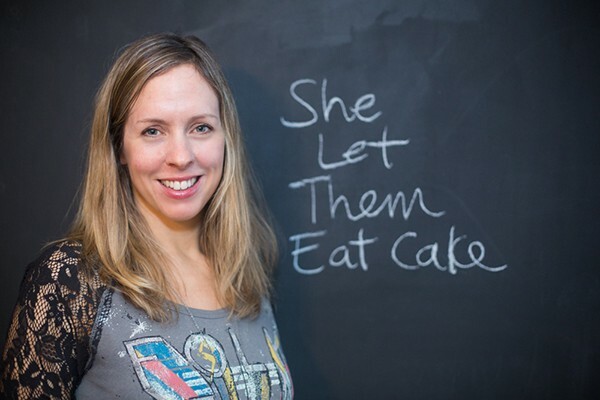 By the way, if you live in the Toronto area, you’re super lucky because Maggie often teaches cooking classes and presents sessions on living gluten free and healthy in her local gluten-free forums, such as Gluten-Free Garage. What about Maggie’s Other Recipes? Here are some of my favorites and some other popular ones. ~ Gluten-Free Pizza Crust—Yeast Free and Easy! Here are a few more of Maggie’s muffin/cupcake recipes. Some could be lifesavers for you and your kids! And now I’ll let Maggie tell you about her Raspberry Muffin Cakes! Raspberries are basically a locally grown super-food. Being a beautiful, bright berry, they’re high in antioxidants, fibre, potassium, calcium, and they’re less sweet than most fruits so they’ll help to satisfy that sweet tooth without the sugar crash. Besides the nutritional benefits, there are few things I love more than raspberries in a muffin. It’s been over a year since a muffin recipe appeared on my blog. 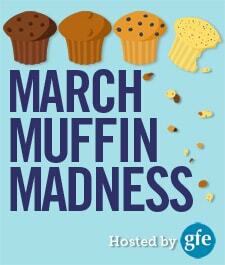 But when Shirley announced March Muffin Madness, she totally inspired me to bake muffins! Just last week I broke my muffin recipe fast with a recipe for Banana Oat Muffins. But these Raspberry Muffin Cakes are just for you guys. Why Muffin Cakes? Because these babies were meant to be more than muffins. They’re moist and cake-like, and I just know you will love them! I make my own oat flour by grinding certified gluten-free oats in my Blendtec. It takes a matter of seconds and I only do what I need so I don’t have to worry about storing extra. Shirley here again … Do check out Maggie’s Banana Oat Muffins, too. I just made them and they are so good! To get more of Maggie’s healthy gluten-free recipes, be sure to sign up for her newsletter so you can get a copy of her free e-book, 10 Easy Recipes for the Gluten-Free Beginner. Maggie says: "Why Muffin Cakes? Because these babies were meant to be more than muffins. They’re moist and cake-like, and I just know you will love them!" Preheat the oven to 350 degrees and line or grease muffin cups. Combine almond flour, oat flour, oats, tapioca flour, cinnamon, baking powder, baking soda, and sea salt in a medium-sized bowl. In the bowl of your stand mixer, or a large bowl, combine applesauce, honey, coconut oil, and ground chia-warm water mixture. Stir in dry ingredients, mixing well to combine. Fold in raspberries. The muffin batter will thicken up because of the ground chia. Spoon batter into prepared muffin cups (3/4 full). Bake in preheated oven for 20-23 minutes. Let cool in muffin pan for 3-4 minutes. Remove to wire rack and let cool completely. Yield: 10- 12 muffinsThese Raspberry Muffin Cakes taste just as yummy on day two, but you could wrap them up and freeze for future breakfast or brunch treats. This post is linked to Hearth and Soul Hop. So since I absolutely won’t be passing these little babies up just because I can’t eat oats – which do you think would work better – all almond flour or brown rice/sorghum instead of oats? Hi Susan – Glad you like the recipe 🙂 I would do a combo of almond flour and brown rice/sorghum instead of one of the other. You might have to adjust the flour-liquid ratio a little since the oats are so different from flour. Let us know how they turn out! another delicious recipe. YOU ROCK!!! Mmm, will be making these! I cannot wait to make these muffins! Thank you for the recipe. Raspberries are wonderful! Thanks for this recipe! I made your banana oat muffins last weekend, Maggie, and they were so good! My son loved having them packed in his school lunch box this week. 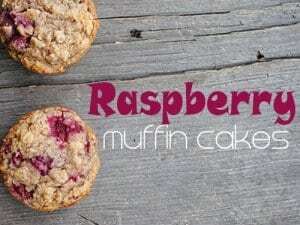 🙂 Can’t wait to try these muffin cakes — I’m a big fan of raspberries, too, and these sound delicious! Hi Lisa! Thanks so much for letting me know 🙂 My daughter likes them packed in her lunch too! I hope you love the muffin cakes! They look so good and I love raspberries. Thanks Molly! You should definitely try chocolate chips and raspberries! Or, chunks of dark chocolate and raspberries. Now we’re talkin! These look devine! Thanks for sharing! Just need to get myself some raspberries! These muffins look so delicious! I’ve got to go get some frozen raspberries! Thanks for sharing! These sound awesome Maggie, raspberries in a muffin are delicious! These would make a lovely breakfast muffin, yum! Oh my goodness – yum! Yay Stefania, sounds like you’re on a good roll! Yum! Any reason I shouldn’t use fresh raspberries? Yumz! What a lovely way to use raspberries. Hi Kimberly – I’ve never baked with pecan flour (must remedy that ASAP) so I can’t say for certain. Do you usually use it as a sub for almond flour? If so, I would definitely try it. Please let us know how that goes! I just love muffins and raspberries. Thanks so much for the recipe and can’t wait to give them a try! thanks for giving the oat sub in the comments. These look lovely. Moist and cake like-sounds right up my alley! Would you be able to substitute the oats with quinoa flour and flakes? I’d love to try these. Hi Wendy – I think you could definitely try that, though I haven’t yet. I would just keep an eye on the batter’s consistency. I find quinoa flour and flakes to be more fine than oats so you may need to add a little more. Hope that helps. Please come back and let us know how it goes! Love using almond flour in my recipes. These look so good along with your Morning Glory Muffins. They are my absolute favorite. Raspberry muffin cakes! How yummy! Shirley, what you said about Maggie, that is so sweet! I agree Jeanene – She has me blushing and tearing up. I’m so lucky to have her support! Hey Lea – I’m so glad you like the taste! Me too 🙂 Did you bake both batches at the same time? It’s hard to troubleshoot without being able to chat, or visit your kitchen! I would’ve tried baking them longer. They definitely don’t rise a ton, because they’re a denser muffin, but they shouldn’t cave in. Signed up for your newsletter! These look great. I LOVE raspberries… where can I get ground chia though? Thanks! Hey Megan – I buy mine at our local bulk or health food store. I use the white kind because it looks better in baked goods (it comes in black chia too). I do know you can purchase it on amazon though. It would be with the flax seeds. Wow these look great! Like mini coffee cakes. I like the idea of adding chocolate chucnks too!! These sound so awesome! I’ve never used ground chia…gonna try soon! Looking forward to baking these as soon as our own raspberries are ripe—have to wait until July. Those muffins look amazing!!! Love raspberries!!! Hm, I love rasberries and have some in the freezer, I just can’t have the oats, so I think I am going to replace them with a mixture of Coconut flakes, for the oat flakes and almond flour, without oil for the oat flour, that usually works, but my almond flour is not just ground almonds, it is the leftover from almond oil production grind into a fine flour. Just in case you want to try as well. So I will try them tomorrow, as I still have some grain free Sacher gateau left from yesterday. These sound fantastic! I can’t bake with nut flours but will have to try and convert these, the raspberries sound sooo good. 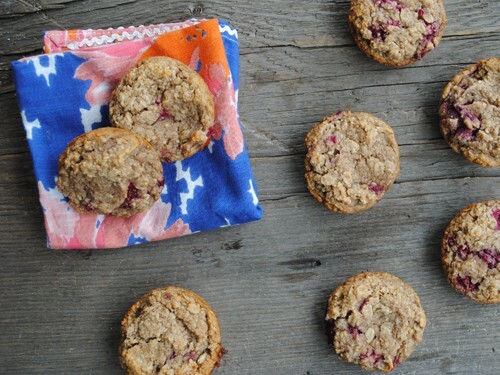 I love raspberries and this is the first gf muffin recipe I’ve seen with them. Can’t wait for them to come into season! These look awesome and Egg free makes me so happy! Thank you! I WANT TO NOM NOM NOM THESE UP!!!! Raspberries!! Oh my, I do love raspberries. Yum! I have all ingredients except tapioca flour. can I substitute something for this? Hi Debbie–Hopefully, Maggie will reply to your comment shortly as it’s her recipe and she will likely know best what might work. But, in general, other starches like arrowroot, cornstarch, and potato starch can be substituted for tapioca/interchanged in recipes, but might yield slightly different results/texture. Sweet rice flour might also be an option. Hi there – I use most starches interchangeably. You could definitely try arrowroot or even potato starch. Hope that helps! Shirley, I so enjoyed this post, and learning about Maggie and her blog. She is from Ontario like I am! It’s lovely you have met in real life. Love these delicious little muffin cakes – what a wonderful recipe! Thank you so much for sharing, and for being a part of Hearth and Soul. Hope to ‘see’ you again this week! Hi April–I’m so happy to introduce you to Maggie! She’s a true delight and I love that she’s from your “neck of the woods.” 😉 She is a fabulous recipe creator as these muffin cakes attest. 🙂 I missed out on H&S this week because I was on vacation but, hopefully, I’ll be back this week!